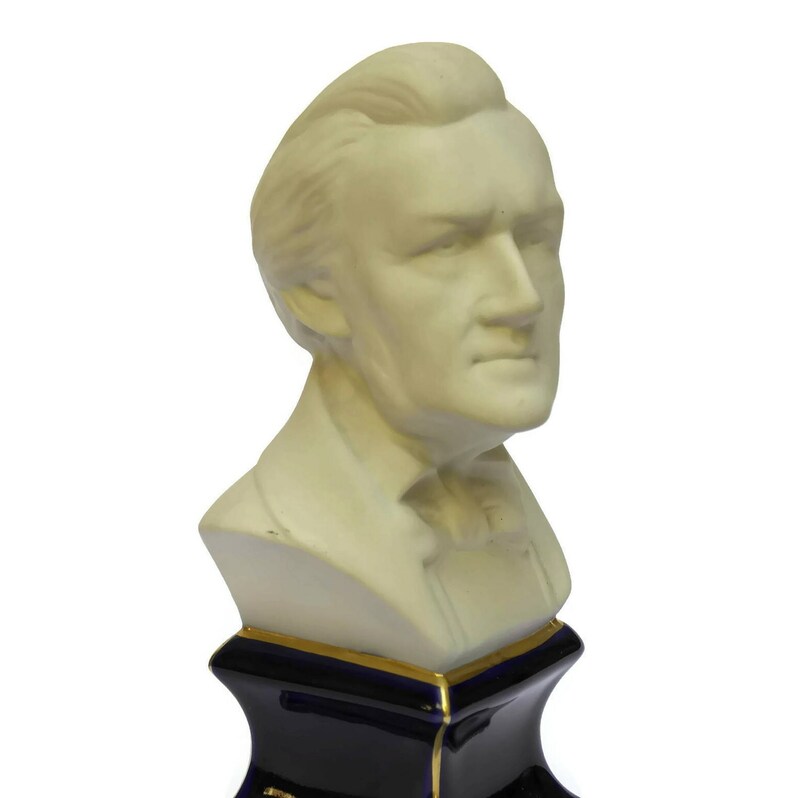 Camille Tharaud Limoges Porcelain Richard Wagner Composers Bust. 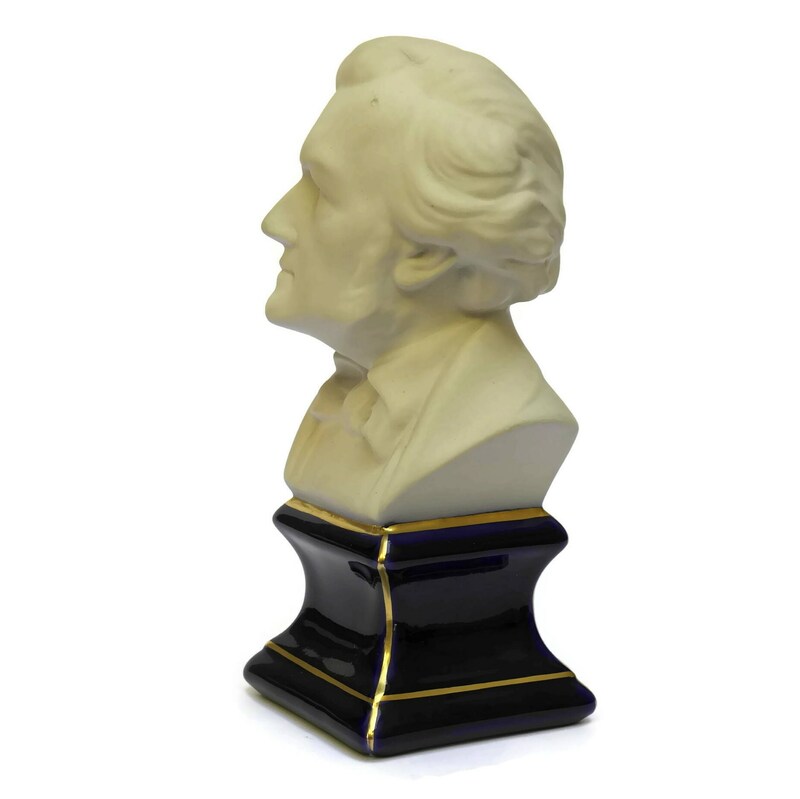 A beautiful vintage French porcelain bust of the famous classical music composer Richard Wagner. The composer's bust was manufactured by the famous Camille Tharaud of Limoges. 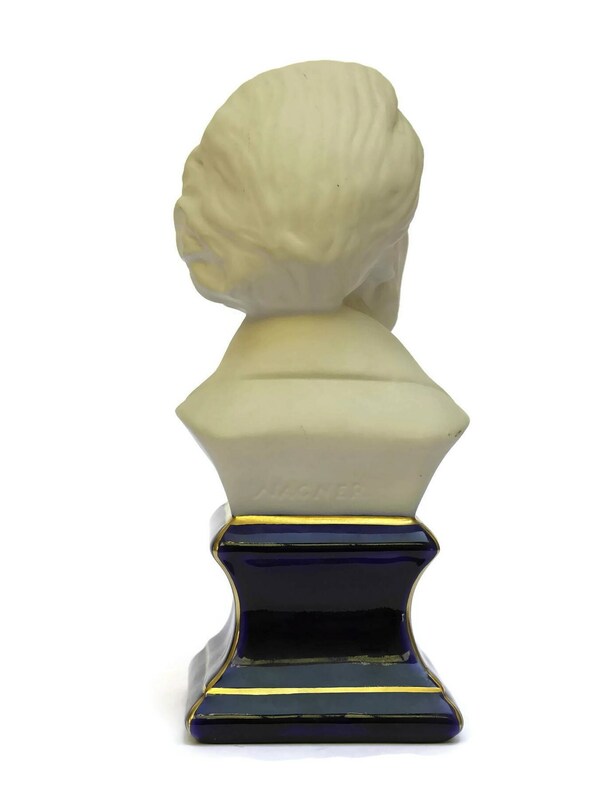 The head has been cast from bisque porcelain and the pedestal base has been glazed in a deep shade of cobalt blue with delicate gold highlights. 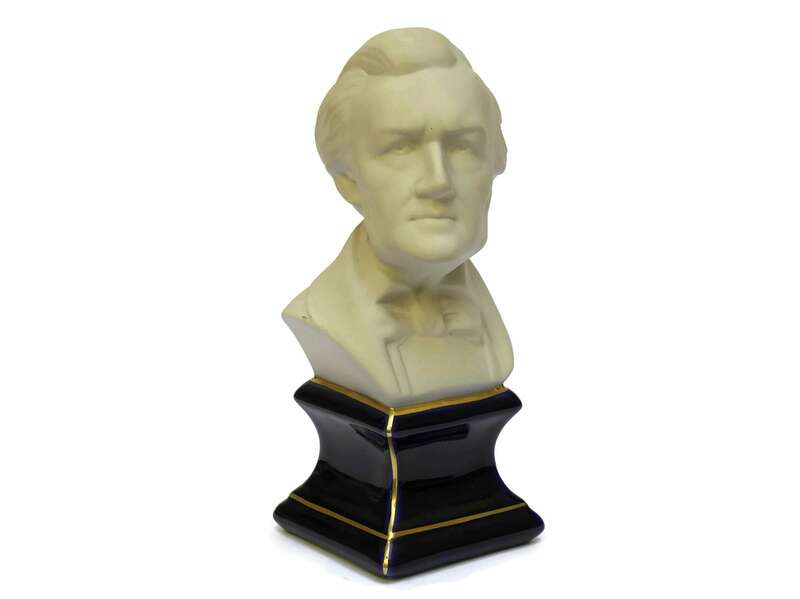 The Wagner bust has been created with fine attention to detail and the reverse side has been incised with the composer's name. 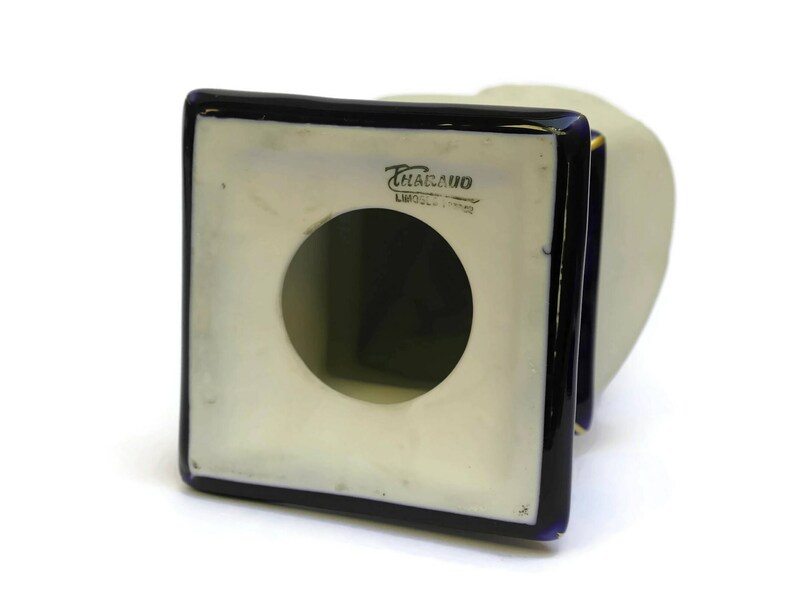 The underside has been stamped with the Tharaud Limoges porcelain manufacturer's mark. The composer bust is in good condition with some age-appropriate wear including some surface marks and wear.